If you are anything like us, you keep an eye on the family budget. Maybe you only occasionally splurge on more expensive foods and dining out. 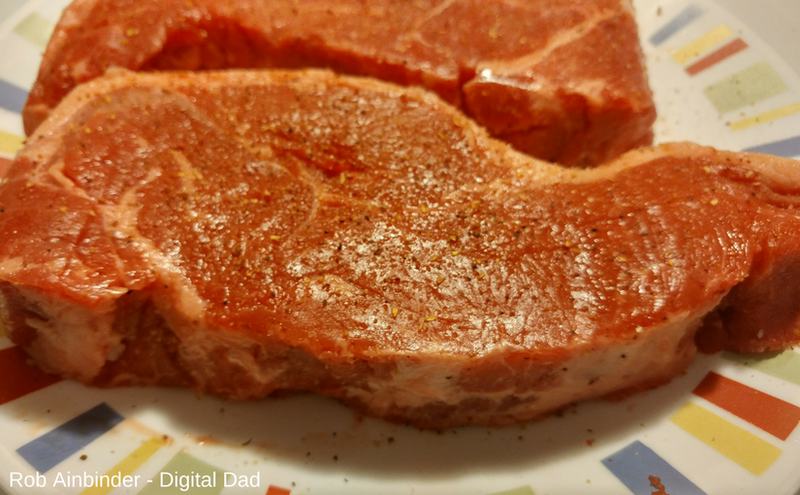 One thing we’ve discovered is a steak that is full of flavor but, tends to be lower in cost that other cuts of beef. So, without further ado, we present the humble First Cut Sirloin steak. 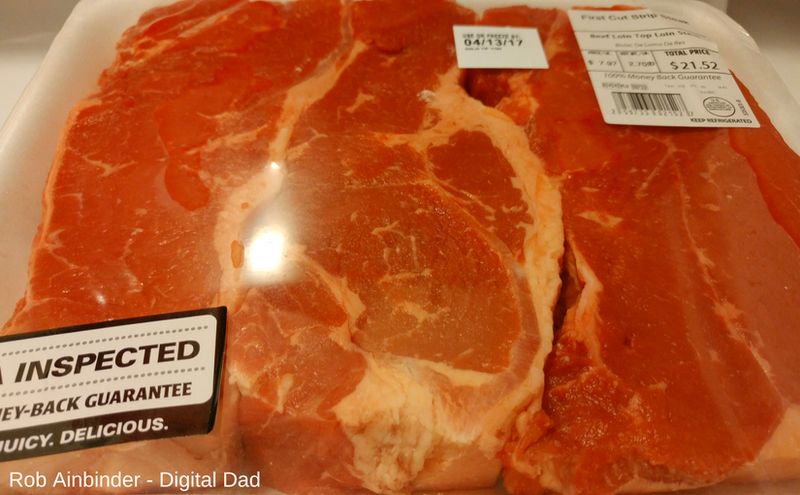 What is the First Cut Sirloin Steak? 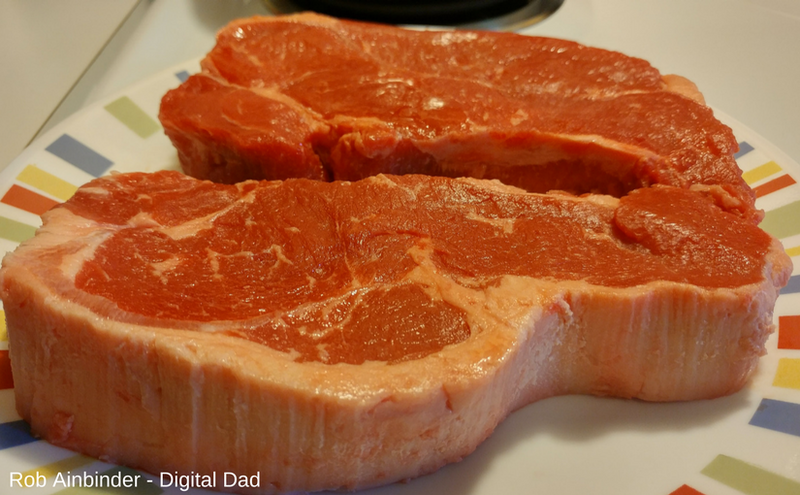 How Do You Prepare a First Cut Sirloin Steak? 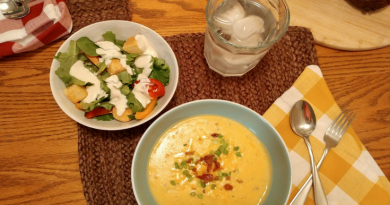 The Finished Meal – Let’s Eat! What cost effective things do you cook that feel a bit more indulgent? Let me know in the comments below. 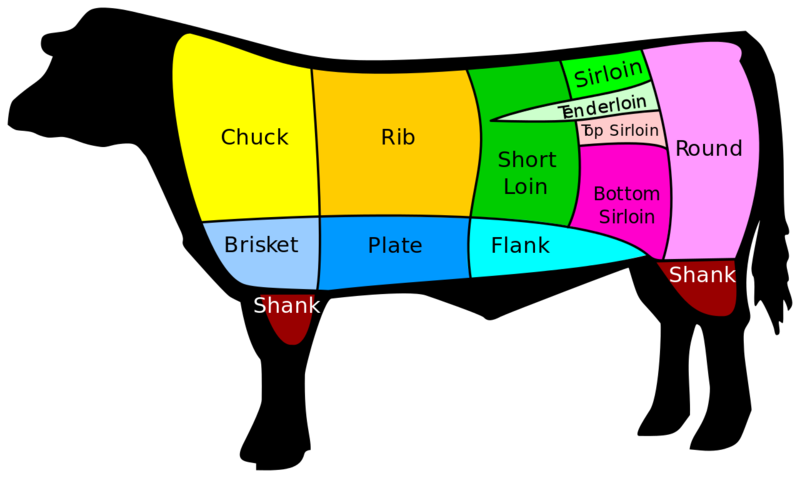 First cut sirloin is a boneless strip steak which is cut from the short loin located between the rib and sirloin in the green area of the diagram above. It comes from closer to the sirloin end of the short loin rather than the more desirable (and expensive) end closer to the rib. 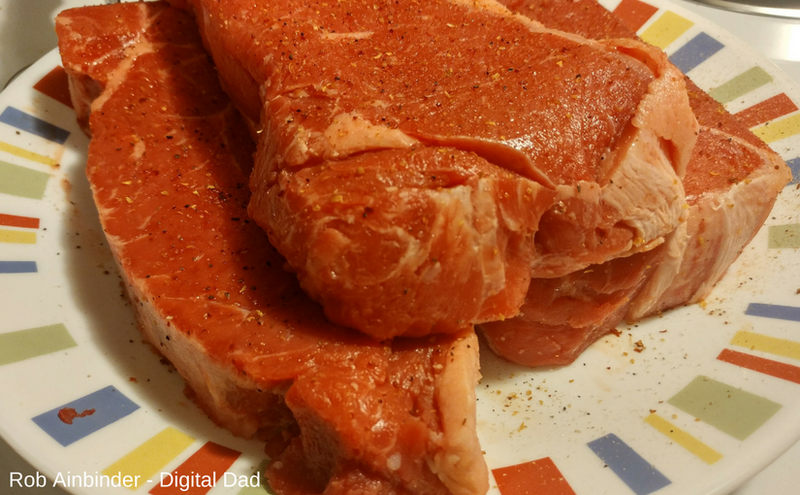 Steak from the short loin of the cattle aren’t worked very hard and tend to be tender and have plenty of good beefy flavor. First cut sirloin is probably not a cut to serve to guests due to some gristle running through the steak but, with a little finessing with a good steak knife, there is a lot of great tasting beef to be had. 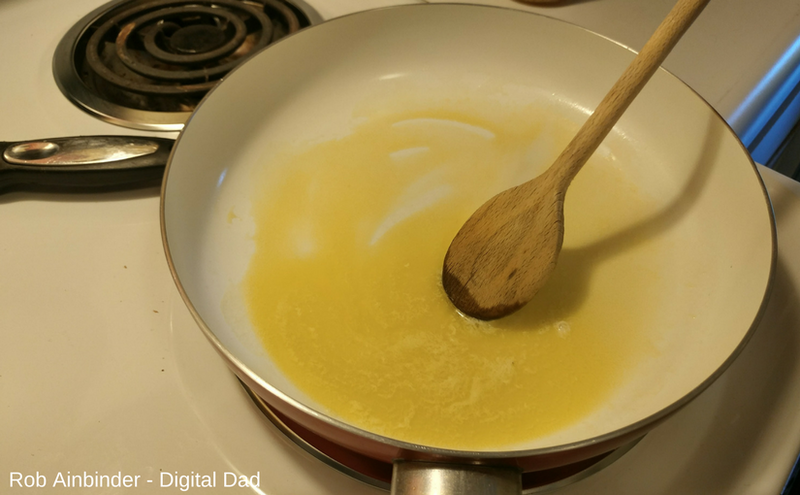 When not sold as a steak, stores often remove all gristle and fat from the first cut sirloin and package the beef for use as stir fry. 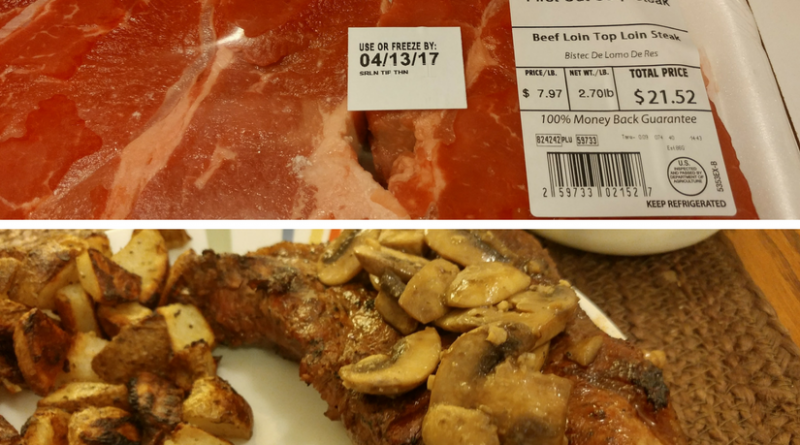 Our first cut sirloin steaks clocked in a $7.97/lb for 2.70 lbs. For a total of $21.52 for three steaks. Not a bad price. And it left some for leftovers. 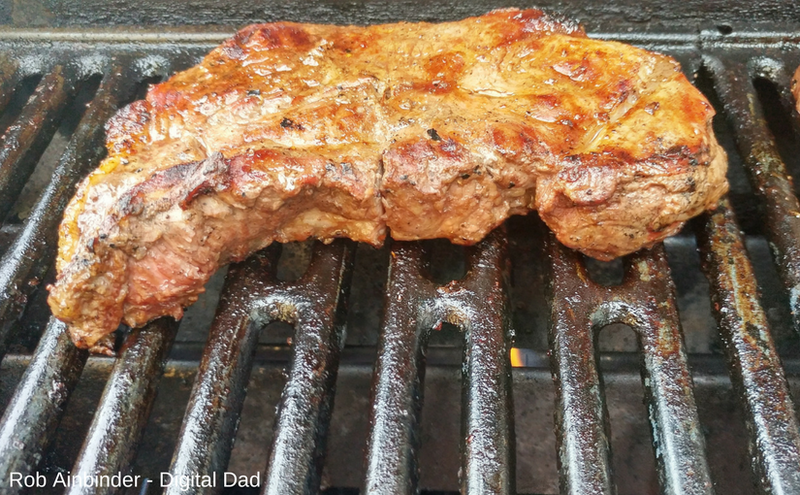 You can cook a first cut sirloin steak just as you would any other steak. I like my steak medium-rare. The ladies in my house prefer their steaks well-done. When served with sauteed mushrooms and a caesar salad, a first cut sirlion is delicious. 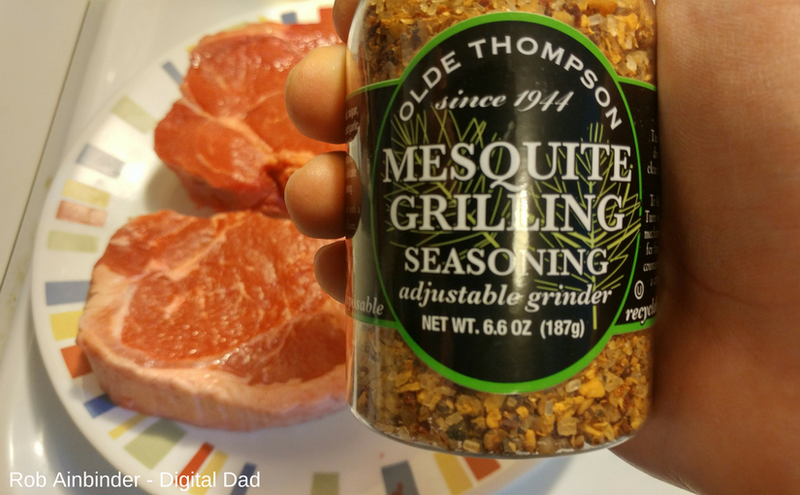 I seasoned the steaks with a bit of Olde Thompson Mesquite Grilling Seasoning. I found this on markdown at the local Food Lion and just had to try it. The adjustable grinder is a great feature of this seasoning. And the mesquite adds another layer of wood grilled flavor. My other favorite seasoning is a Montreal Steak seasoning. I like to season the steaks before I start bringing up the temp on the grill. This gives the steak surface time to dry out a bit. This tends to give you a better sear. The steaks basking in that mesquite, salt and other great flavors. The steak grills up well. I attempted what’s known as a reverse sear. But, I really didn’t have what I needed to really do that method justice. What I did do, was set the grill up for indirect grilling. I put the front burner on high and the back burner on low. This helped me cook the inside of the steak before doing a high temp sear as the steaks approached doneness. This is the essence of a reverse sear. 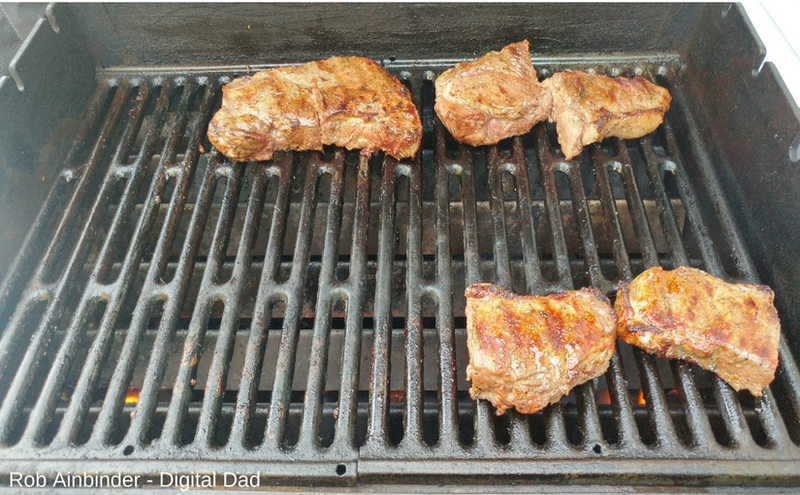 With my replacement instant read thermometer on order, I cut the steaks my ladies would eat in half to get a good look at how well done their steaks were. While I cooked the steaks. 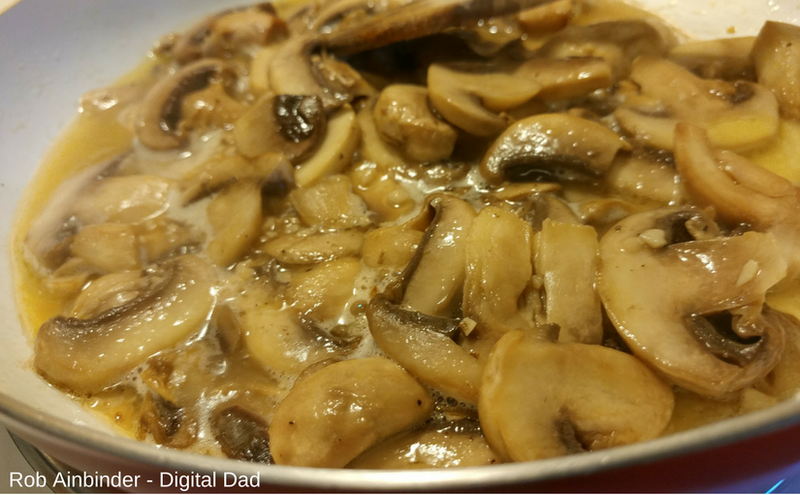 My wife worked on her yummy sauteed mushrooms. RELATED Eating Cleaner & Better with Some Inspiration from Alton Brown's "Diet"
I usually frown on toppings on steaks. 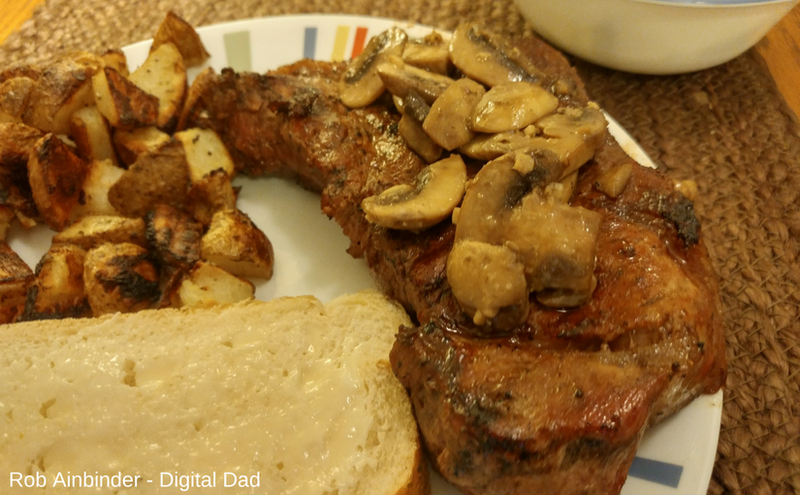 If it’s a great, well-cooked steak why top it with something? I will not order a steak with a crust of breadcrumbs or, cheese. 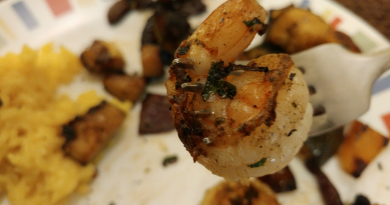 I also stay away from other toppings like lump crab, grilled shrimp or, grilling sauces. I like to really taste unadulterated beef flavors. 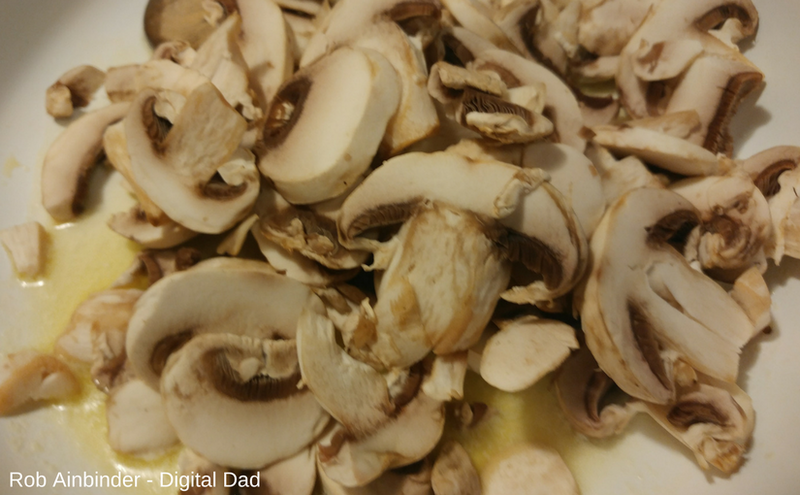 However, my wife makes some really great sauteed mushroom. They pair well with steak and the prep is really straight forward. 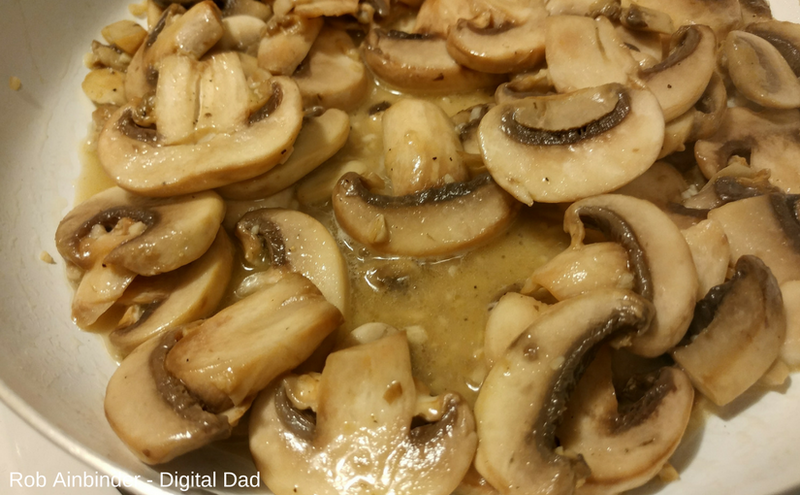 The ingredients: sliced mushrooms, garlic, butter and a touch of wine. For this meal, we used a Chardonnay. But you could use a red of some type. Syrah, Malbec or, Cabernet would all be great choices. 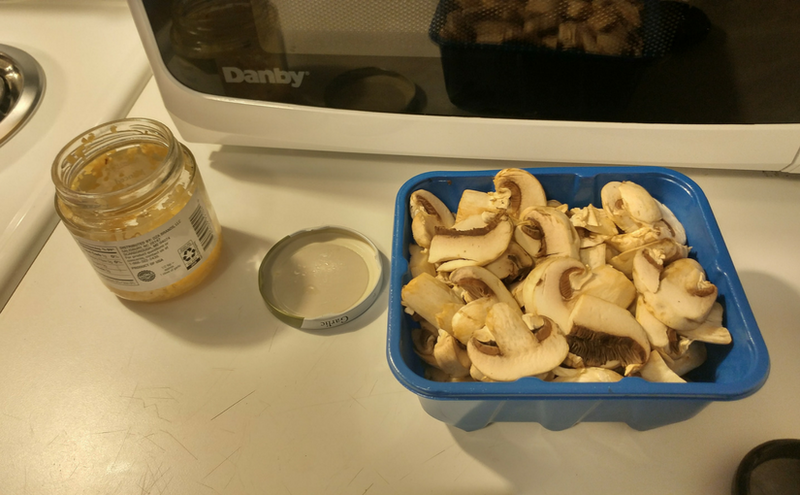 In go the mushrooms to start their transformation into something yummy. The mushrooms begin their transformation. Soaking up the flavors as they cook down. These look really divine, don’t they? The caesar salad is a simple thing. 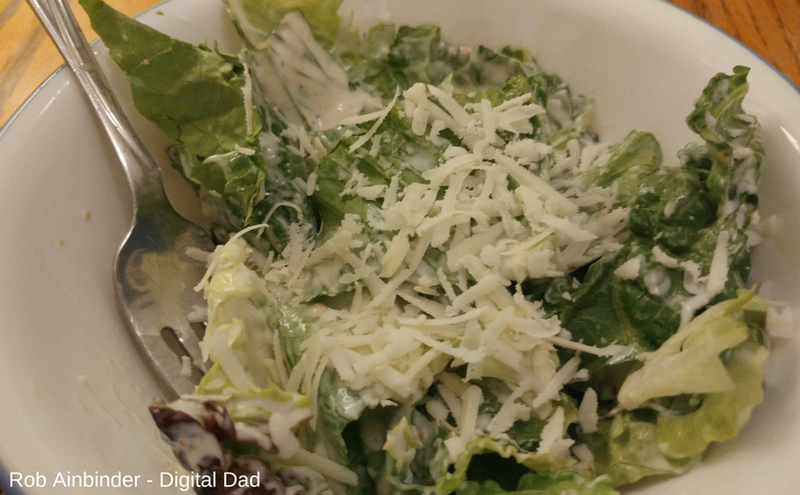 We combined romaine lettuce with some caesar dressing and freshly grated parmesan cheese. The croutons, we forgot the croutons, darn! It’s a deliciously simple salad that plays well with the heavier beefy flavors of the steak. 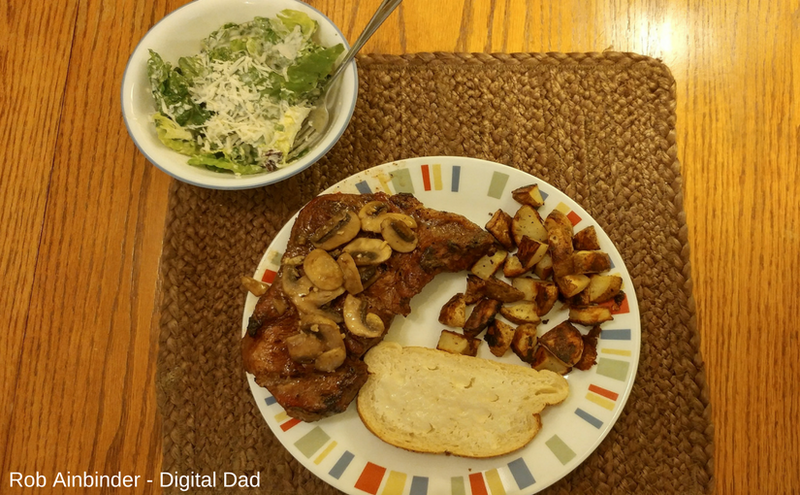 The complete meal included ranch roasted potatoes, Italian bread, steak with mushrooms and a salad. A heck of a meal! The last name, for a “vein” of gristle running between two different muscles in the steak.